Welcome to this beautiful Midtown home situated perfectly on a premium corner lot just steps from the neighborhood brewery & community park! Enjoy an abundance of natural light throughout the day thanks to the exposed South facing windows. The open concept living area features upgraded durable wood flooring throughout the main floor and a kitchen with stainless steel appliances, upgraded cabinetry, quartz surfaces and large island. Entertain guests on the large patio under a custom modern pergola with easy access to the main floor guest bathroom and attached 2-car garage. Upper level has 3 bedrooms, including a master suite and laundry room convenient to all the bedrooms. The finished basement includes storage, an open family room, bathroom and private guest bedroom. 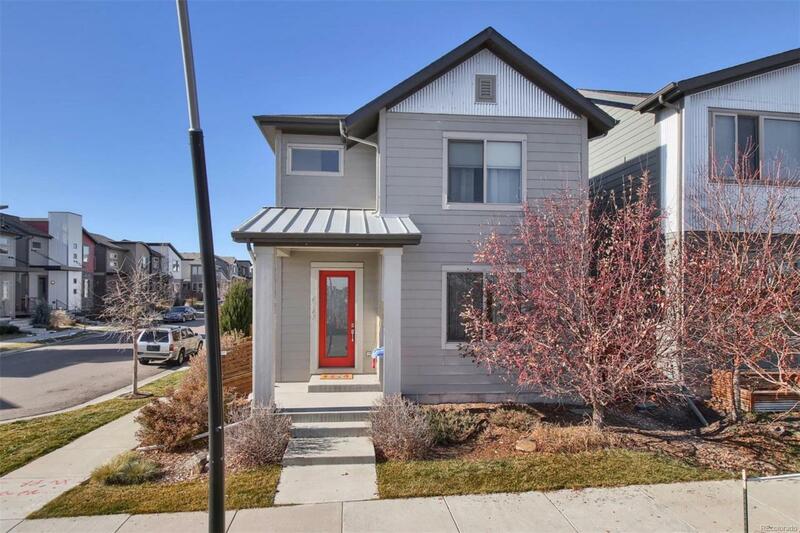 Tour this beautiful home in Midtown just one mile from the light rail and minutes to Downtown Denver! Brand new K-8 neighborhood school, Trailside Academy to open this fall!